This new tour combines a thorough introduction to Ancient Athens with a chance to observe the Easter festivities or to participate in them! 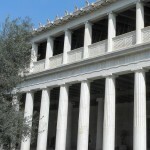 In antiquity, there were many religious festivals that dominated the Athenian life, such as the Panathenaia, Dionysia or Eleusinia, occasions when the city state acted out its own identity. Nowadays, the Orthodox Easter is the most important festival in modern Greece: celebrated passionately, solemnly and eventually exuberantly, it is a central expression of Greek identity and a spectacular experience for visitors. 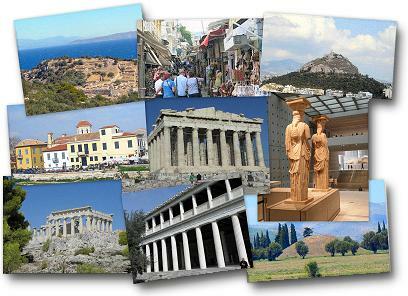 Our expert guides will show you all the major remains of the Classical, Roman and medieval city: the sacred rock of the Acropolis and its superb museum; the ancient Kerameikos cemetery; the Agora, the political, commercial and civic heart of the ancient city; and the National Museum, the world’s most important treasury of Ancient Greek Art. You will walk the same streets and squares that Aeschylus, Pericles, Herodotus or Socrates did, the people who allowed Athens to become a cultural beacon shining across the millennia, creating or advancing philosophy, tragedy, comedy, history, art and architecture. In parallel, you will have a chance to observe the celebrations of Orthodox Holy Week, from intimate and quaint observances to the drama of processions, all culminating in the celebration of light on Easter night and the exuberant feast of Easter Sunday. Apart from deep archaeological and historical insights, you will also experience a slice of modern Athenian life, as well many opportunities to enjoy some of the very best Greek food and wine at some of our favourite venues – including Easter specials. Your base for the week long tour is a fine 5 star hotel located near the heart of the city and old town, with perfect access to all its sights and amenities. 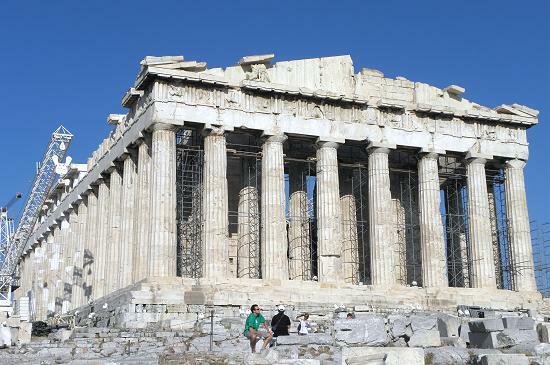 - 1st day: Transfer from Athens airport to our hotel in the centre of the city. 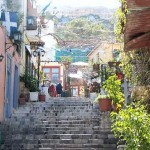 - 2nd day: The day is devoted to the Acropolis and its slopes. 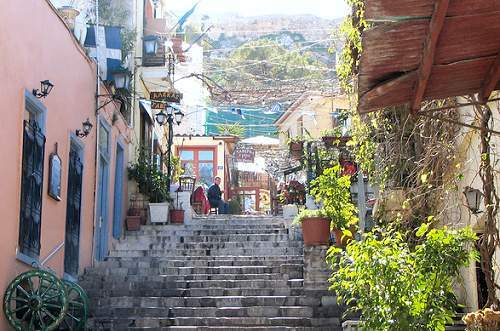 We visit the Theatre of Dionysos and following the "peripatos", the ancient path around the Acropolis, we climb to the sacred rock to view the city's eternal achievements. 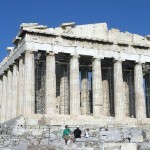 Passing through the gateway of the mighty Propylaea, we explore the fabled temples of Periclean Athens: dainty At hena Nike, the incomparable and enormous Parthenon, and the ornate Erechtheion, the most sacred place in the ancient city. 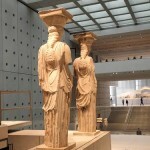 In the afternoon, we visit the superb Acropolis Museum, devoted entirely to finds from the Acropolis itself. 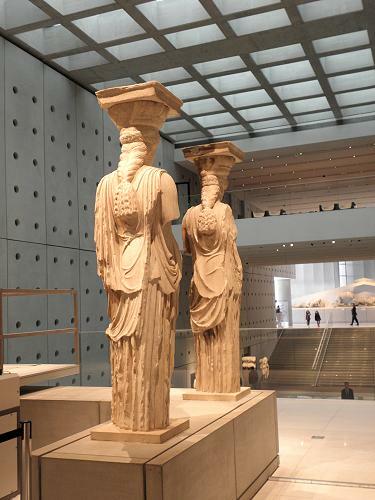 - 3rd day: In the morning, we visit the Agora , with its wealth of remains from Classical, Hellenistic and Roman times and its informative museum. 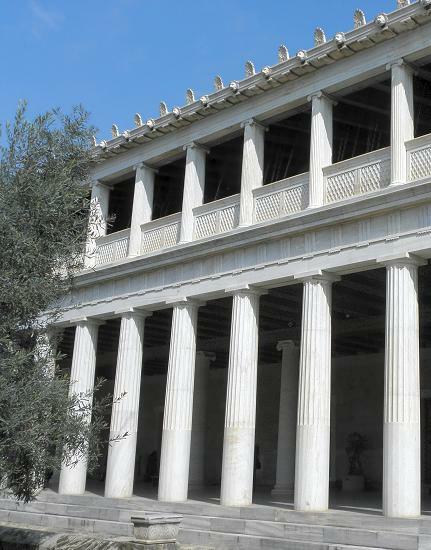 After a stroll through Plaka, the old town of Athens, to view its Roman, Hellenistic and Byzantine remains rubbing shoulders with Ottoman mansions and Neoclassical houses, we make our way to the National Archaeological Museum, home to the most iconic treasures of ancient Greek civilisation. - 4th day: In Greek Orthodoxy, Thursday is the day of the Crucifixion. After a free morning, we set out on a long excursion to Northern Attica. We visit the beautiful site of Vavrona (Brauron), a sanctuary of Artemis connected with the poignant story of Iphigeneia's human sacrifice and divine redemption. A late seaside lunch is followed by a visit to landmarks on Penteli mountain: the Pentelikon quarry, where the marble for the Parthenon was cut, and the Byzantine cave chapel of Davelis. Later, we proceed to the monastery of Daou (Moni Pentelis) to observe Holy Thursday observances, accompanied by a re-enactment of the Crucifixion. - 5th day: Holy Friday is a solemn day in Orthodoxy, the day on which the Saviour is absent and when his funeral is observed. Appropriately, we visit Kerameikos, the most important cemetery of ancient Athens, with its extraordinary examples of funerary sculpture. 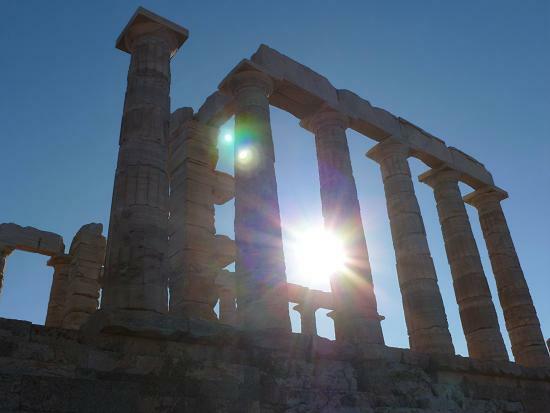 After a lunch of traditional lenten dishes, we visit the stunningly beautiful Temple of Poseidon at Sounion on the southeast tip of Attica. On the way back, we stop at Anavysos to see the tableau vivant of the Passion. After dinner, we visit the church of Agios Georgios Karitzi in the heart of Athens to hear beautiful choral singing, mourning the epitaph, the symbolic tomb of Christ. - 6th day: Holy Saturday is a day of general mourning and fasting (optional for our guests, of course). We continue to Eleusis, one of the most important sanctuaries of ancient Athens, hinged on a story of entering and leaving the Underworld. In the evening, you have the option of observing the Easter celebration of the Ethiopian and Armenian communities before we meet for the midnight mass in Agioi Anargyroi, one of the most ancient churches of Athens, to see the first appearance of the Holy Light in Greece. The experience will be followed by a traditional late-night Easter meal. - 7th day: Easter Sunday is a day of joy, celebration and indulgence and we enjoy the traditional Greek Easter feast of lamb in a taverna in the city, celebrating alongside the people of Athens. - 8th day: Transfers to the Athens airport.